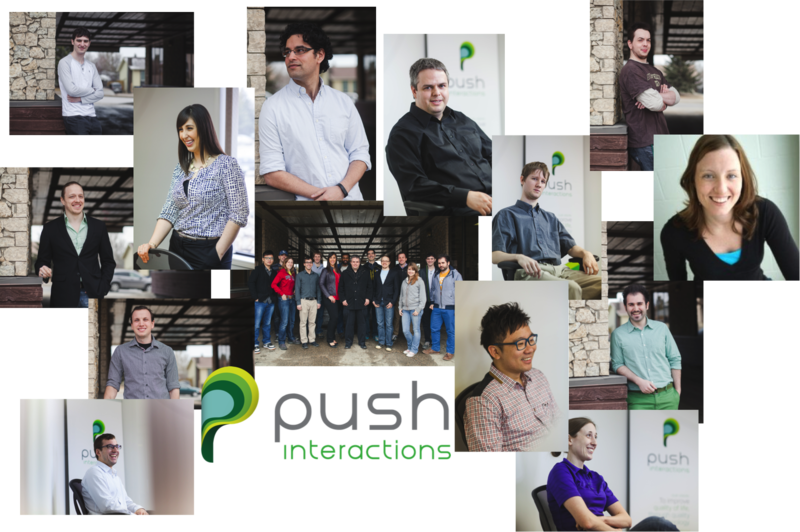 Meet the Push Interactions Team! When we rebranded our company name from CollegeMobile to Push Interactions we knew that one thing for sure would remain unchanged, our dedicated and talented employees. I wanted to make sure our Push Interactions brand reflected our dedication to people: both our clients AND our employees. I wanted to make sure that we told our employee’s stories and celebrated them as individuals who make up our strong and united team. Over the course of the rest of the 2014 year we will be rolling out blogs that let you meet our talented employees. Stay tuned and get ready to meet the Push Interactions team!